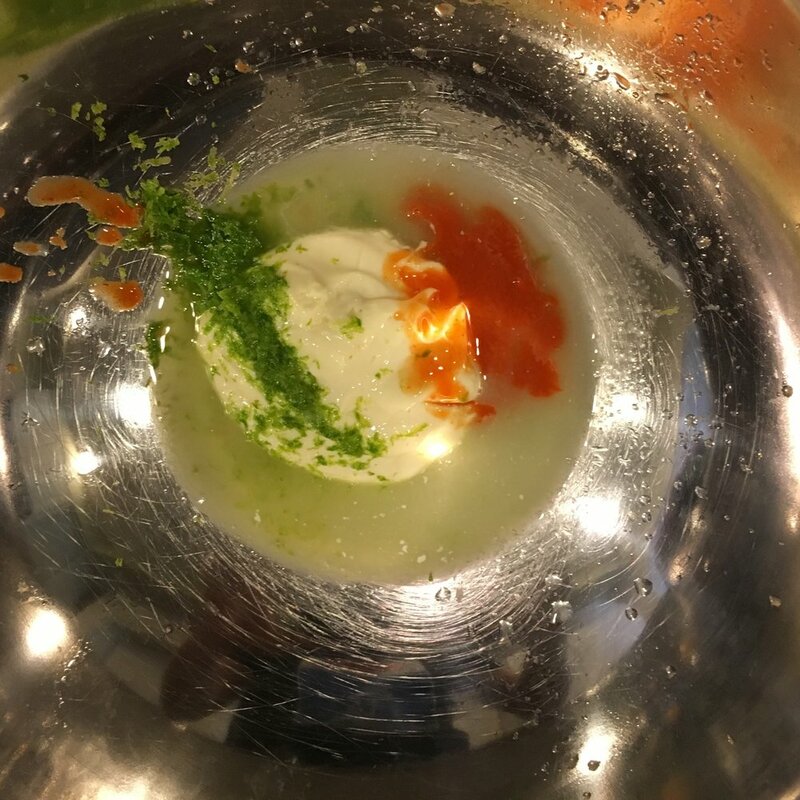 My aim is to demystify the cooking process by thoroughly breaking down each step of the process, and offering easy to understand instruction. 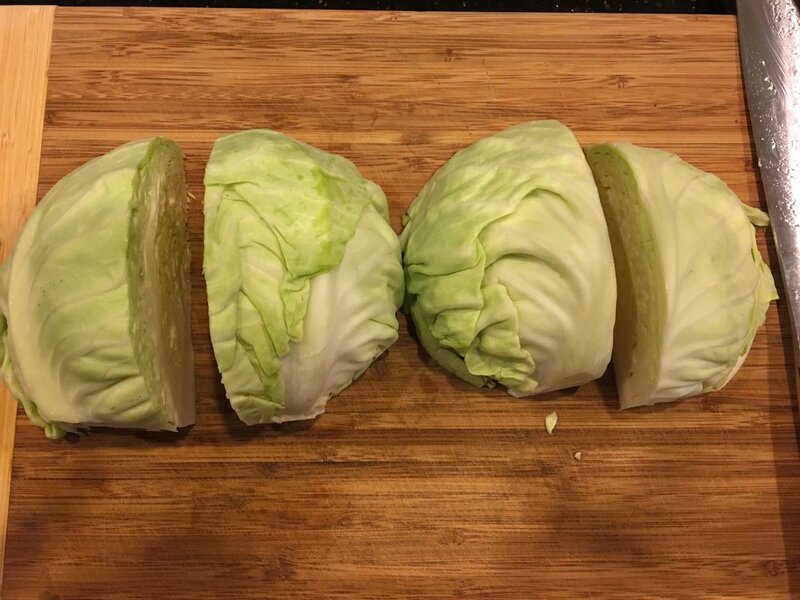 Instagram Follower #134: You cook with too much cabbage. IG Follower #134: Yeah, 12 posts, three featuring cabbage. Lanyap: But none with green cabbage! Lanyap: But only one green cabbage slaw! 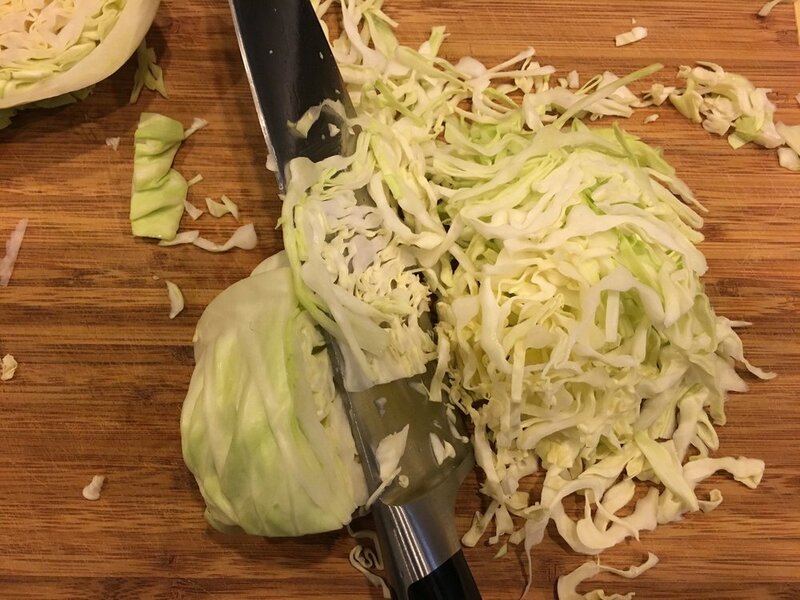 Remove the outermost layer of cabbage. 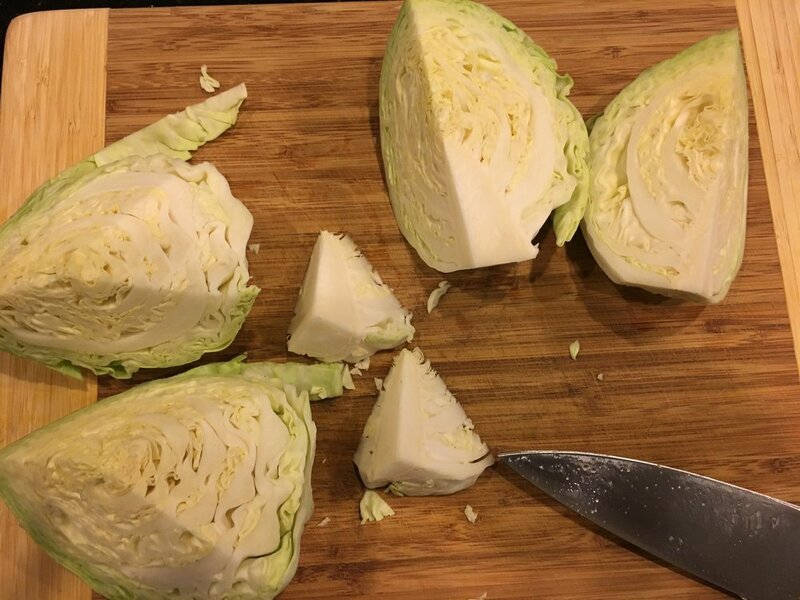 Now cut the cabbage in half through the core. 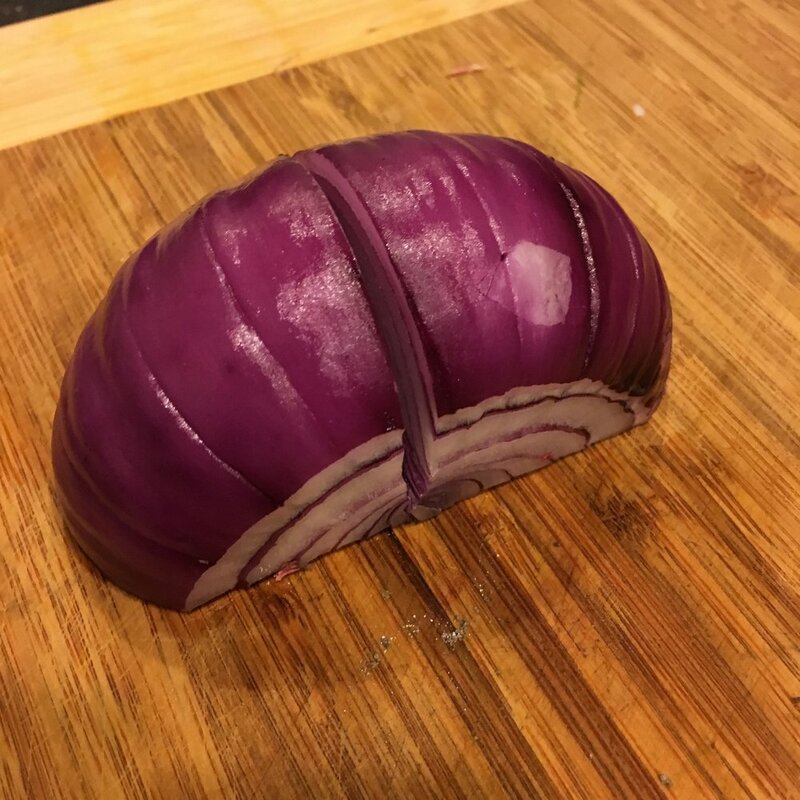 Then cut each half in half through the core. Now you have quartered the cabbage. 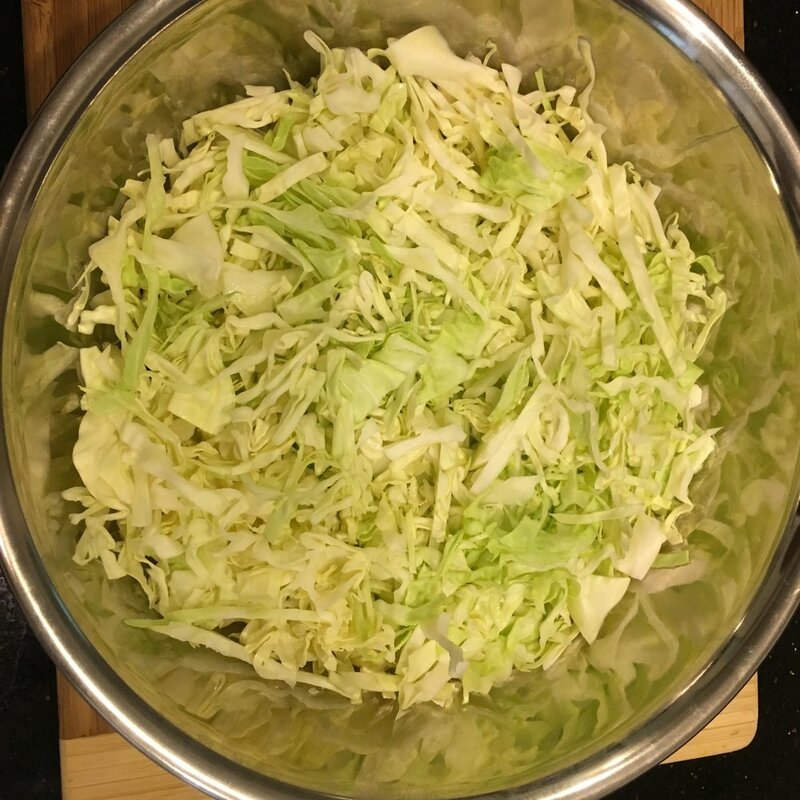 Cut two of the quarters into thin ribbons and place the cabbage in a large bowl. Sprinkle with a generous pinch of salt and give the bowl a gentle shake. 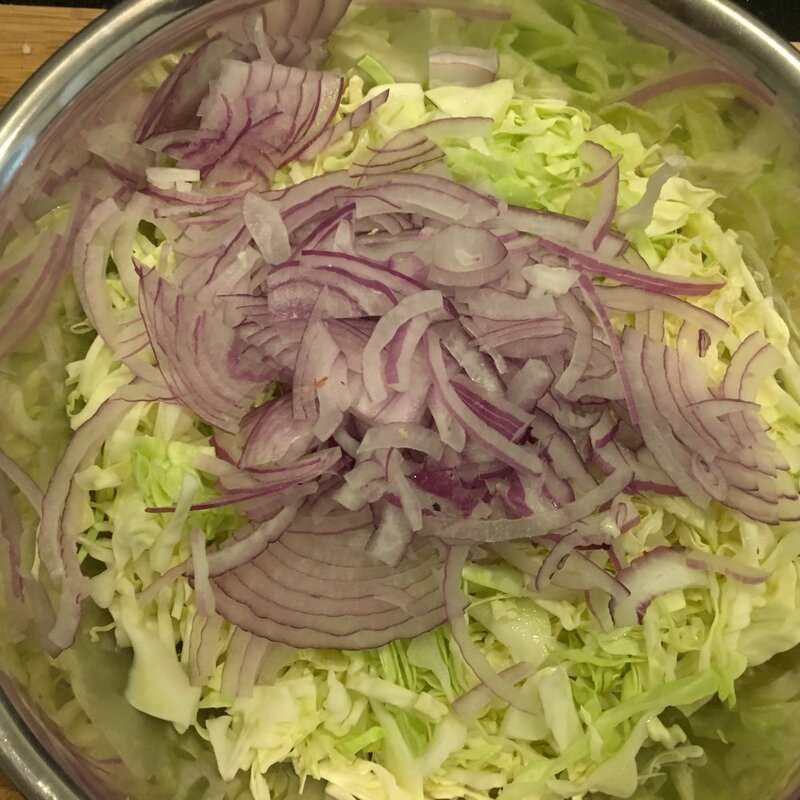 Slice the rest of the cabbage and add it to the bowl along with the sliced red onion and another pinch of salt. Mix the onion with the cabbage and set a timer for 30 minutes. Let the cabbage sit on the counter. When your timer goes off it is time to remove the excess moisture from the cabbage. To do this, line a bowl that is big enough to fit the cabbage with paper towers. Transfer the cabbage to the paper towel lined bowl. Press down on the cabbage with a additional paper towels to absorb the water that we release by salting the cabbage. Wipe the original bowl dry. Now we will go ahead and make the dressing. Add the mayo to the original bowl. Zest the lime and add the zest to the bowl. Then cut the lime in half and squeeze the juice into the bowl. Add the hot sauce and mix well with a fork or a whisk. Now taste the dressing. Is the heat good? Do you want it hotter? Now is the time to make that decision. 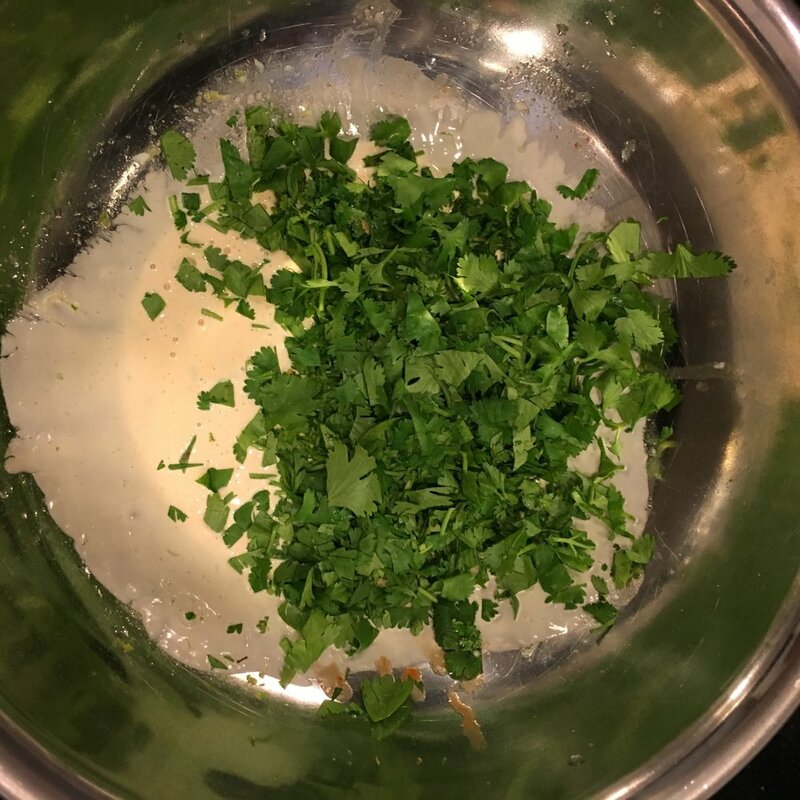 Roughly chop the cilantro and add it the bowl along with half of the cabbage. Mix well. I prefer to use tongs for this step. Add the remaining cabbage and mix well. Let the slaw sit on the countertop for another 30 minutes and enjoy. If you are making the slaw in advance you can go ahead and just stick it directly in the refrigerator after mixing. Either cover the bowl with plastic wrap or transfer the slaw to a larger container. Ground Bison, Beef & Chorizo "taco meat"